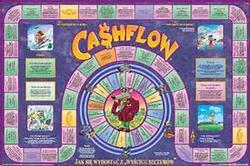 CashFlow Game Subgroup meets on the 3rd Tuesday of every month at GaREIA Headquarters. Leader is Lloyd McCord. Read why Lloyd enjoys the game and why you might enjoy it, too! 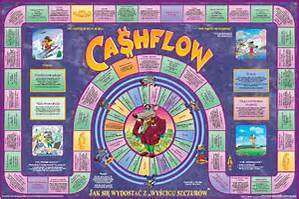 The boardgame Cashflow 101 was created by Robert Kiyosaki, the author of Rich Dad, Poor Dad. It is a great way to learn to think like a rich person thinks. The main lesson of the game is to get your money working for you, rather than working for money. You can try various strategies for building wealth through different approaches and see how they work before implementing them in real life. It is a fun way to change your mindset from perceiving real estate, businesses, and stocks as risky, to realizing that they are the keys to achieving your financial freedom. Playing the game helps you get into the mindset that you should be constantly looking for deals that will provide you cash flow. Unlike most games, where the winner is the one who has the most money at the end, Cashflow 101 makes it clear that having cash is not the goal, acquiring cash flowing assets is. In the game, you will be looking for ways to get your money growing, not just sitting in an account. Playing the game helped us determine the strategies that we wanted to pursue as we began our real estate careers. Having played the game many times, we realized that some strategies would not work for us in our specific situations, and that we should focus our attention to what fit better. Being successful in the game helped us to become confident that we could be successful in real life investing as well. Come out and join us at our next game night! Members attend all Subgroups free. Guests attend Regional Subgroups free of charge (Southside, Cobb/West Georgia, Gwinnett, Intown Rehabbers, Northside Rehabbers, Venture Capital), and any one Subgroup meeting at GaREIA Headquarters free of charge; subsequent visits at Subgroup meetings at GaREIA Headquarters require $25.00 Guest Fee. Online registration ends at 5:00 pm on day of event; after that time you may register at the door. First time Guests should register at the door. Payment Details: Members attend all Subgroups free. Guests attend Regional Subgroups free of charge (Southside, Cobb/West Georgia, Gwinnett, Venture Capital, Intown Rehabbers, Northside Rehabbers), and any one Subgroup meeting at GaREIA Headquarters free of charge; subsequent visits at Subgroup meetings at GaREIA Headquarters require $25.00 Guest Fee. Online registration ends at 5:00 pm on day of event; after that time you may register at the door. First time Guests should register at the door.